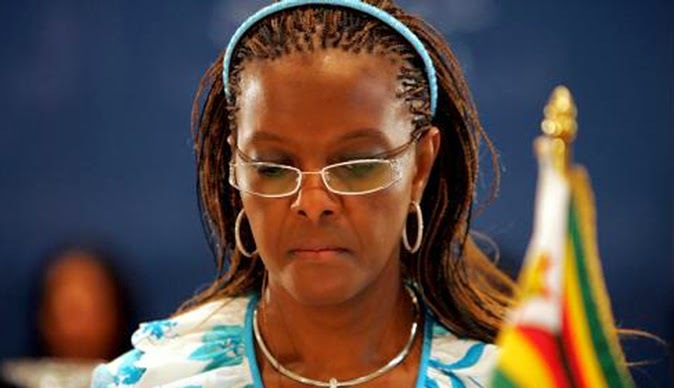 HARARE – Information Minister Jonathan Moyo has angrily rubbished independent media reports that First Lady Grace Mugabe used her rally in Gwanda on Monday to call for the ouster of Vice President Joice Mujuru. According to reports Grace launched into her now familiar tirades saying: “Some think because if you are vice president you just stay there and do nothing while Mugabe works for you, we want people who are capable, we do not want a liability, hatimude (we don’t want her). The remarks were interpreted as an attack on Mujuru even though her name was not mentioned. Speaking to reporters in Lupane, Moyo who belongs to a faction of Zanu PF that roped in the First Lady to derail Mujuru’s rise to the presidency, said the reports in the privately-owned NewsDay and Daily News were the “infertile imagination of their creators”. “It appears, unless if one is conflicted by concrete evidence, that this was the work of people in Harare, in these newspapers, who were not at Pelandaba Stadium in Gwanda yesterday because Dr Mugabe never said anything of the sort,” Moyo said. “This is some infertile imagination of the creators of this story. She was addressing the qualities that a Vice President and second secretary of Zanu-PF should have. He explained: “She (First Lady) mentioned that for the Vice President and Second Secretary (of Zanu-PF) drawn from the former Zapu there are now five aspiring candidates. Surely, we need some criteria to guide us. Moyo said there was a difference “of day and night” between focusing on the office and the requirements of that office, and an individual. This is a sign that there’re some among us who would like to kick up some dust, do-up confusion, mischief and so forth,” he said. “Unfortunately for them, the national broadcaster is rebroadcasting these addresses in full for the people to hear the message without any contamination, and they don’t need any newspaper to tell them what she said. “They’ll hear for themselves, and for this we must all be grateful for ZBC because apart from just getting the message directly, those who’re trying to distort, misrepresent and so forth are going to be left with egg on their faces because their attempts will be exposed for what they are – mischief and imaginations that at the end of the day are not creative, are not meaningful and will be rejected by the people,” Moyo added.